After wandering through Bywater, checking out the French Quarter, and eating our fill of beignets, the time has come for reflecting on this year’s Walk/Bike/Places in New Orleans. 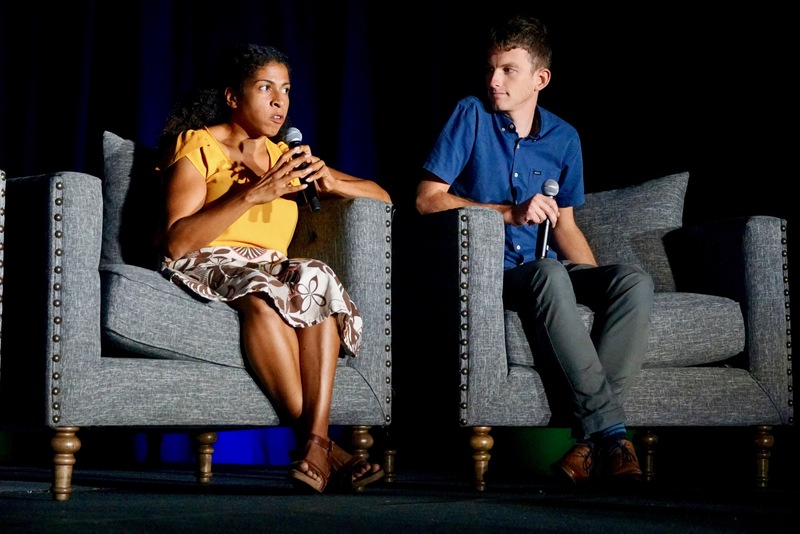 It’s hard to tell what taught us the most, between the speakers and the City itself, but one thing is certain: a strong focus on equity and the local culture of collaboration and creativity in New Orleans made it a truly memorable convening. Grounded in community and equity, Walk/Bike/Places was a space both for learning and recognizing historical and current challenges in New Orleans, and other cities like it. Organizers based the entire structure and intention of the conference on the acknowledgment that: (1) privilege and access is granted unequally; (2) equity is critical to the long-term viability of New Orleans; (3) the sheer presence of our work challenges inequities and encourages alternatives. Opening remarks from New Orleans Mayor LaToya Cantrell and Chef Tunde Wey set the scene for Walk/Bike/Places attendees, zooming in on local issues and social equity. Perhaps most notably, Wey stated that, as they exist today; "cities aren't designed for equity, they're designed for economic growth." He went on to argue that current approaches to community building aren’t enough, and that we must democratize burdens in order to build truly diverse communities. Mobile Workshops make Walk/Bike/Places what it is, and we can't say enough about how thrilled we are with the workshops that took place this year. Through the attention, organization, and effort of our LHC, Bike Easy (Oliver Anderson in particular! ), and all of our workshop leaders, we were able to hold almost 30 mobile workshops around the city bringing in over $22K for local projects. In doing so, we were able to offer educational and memorable experiences to our participants, and get people outside of the hotel to actually learn from the great work happening in New Orleans. From visiting former locations of removed Confederate-era monuments, to literally walking participants through everyday disability, the mobile workshops covered everything from art and culture, to mobility and access, and we could not be happier with how they all turned out. These workshops took participants all over New Orleans, and in some cases, beyond — in the “Old” Fat City Mural tour, attendees made their way out to Metairie, to see the larger-than-life installations on the sides of diners and art supply stores. 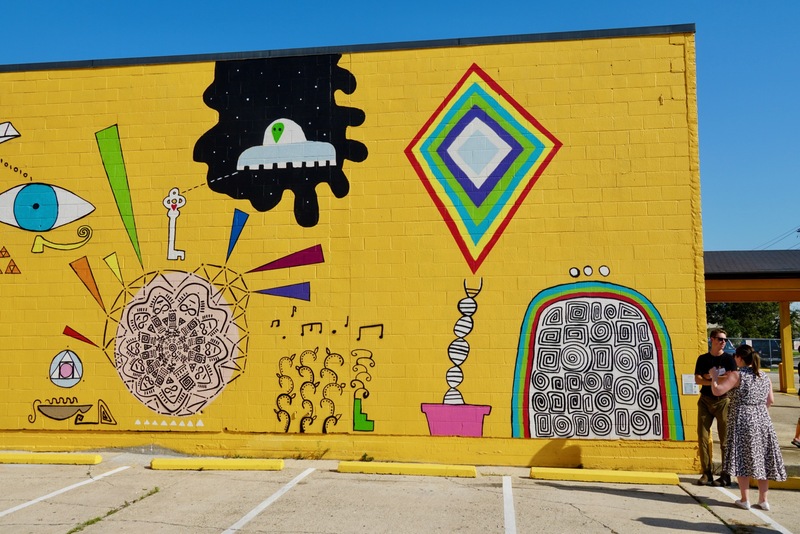 Participants braved the heat to see more than ten murals that were part of the Fat City Mural Project, from the bright, abstract shapes in Forrest Reiff’s “Imaginatarium,” (as pictured above) to the storytelling of Candy Chang’s “She Dreamed of a Place Called Fat City.” Other workshops took residents by bike and by foot to iconic New Orleans public spaces like the Lafitte Greenway, Esplanade Avenue, and the African American Cultural Heritage Corridor, and explored accessibility on the City’s public transit routes. Even better, all revenue from the workshops stayed in the community. Participants also got an up-close look at themes like Autonomous Vehicles, Data, and Urban Sustainability during brand-new Super Sessions. 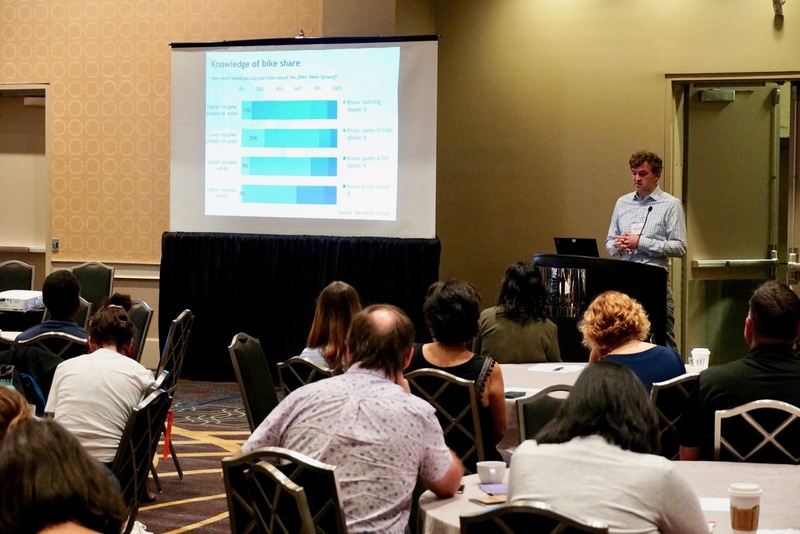 During one such Super Session on Inequality, experts like Nathan McNeil of Portland State University broke down the barriers to bike share use, pointing out that cost, availability of information, and liability for damages were among the top reasons that lower-income communities see low rates of bike share use. 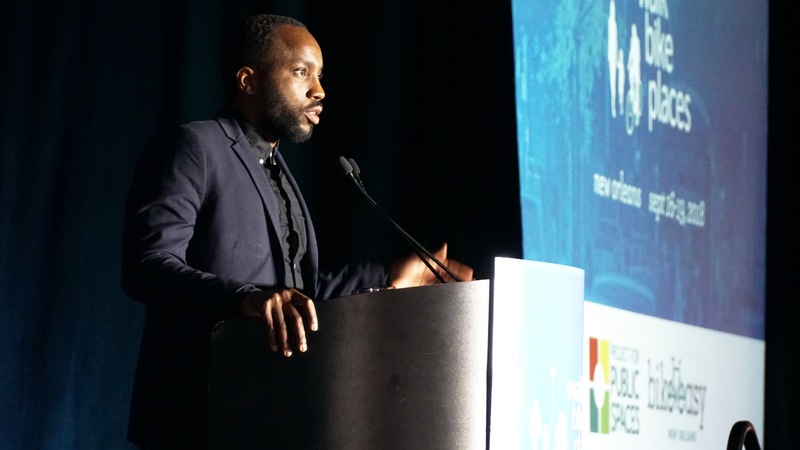 During the same Inequality Super Session, Anikwenze Ogbue of Toole Design Group talked about transportation equity in Baltimore, and how new policies to engage city agencies in equity-focused planning have changed the way the city is developing. 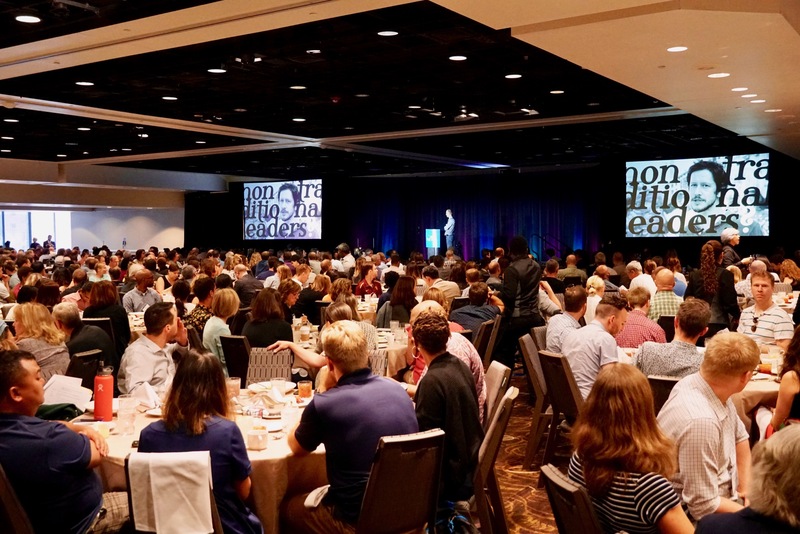 A powerful closing plenary brought Walk/Bike/Places to an end with PPS CEO Phil Myrick’s closing speech on the importance of place, leading into panels on equity in New Orleans, sustainable transportation, and rail-trails — all bringing the lessons learned at Walk/Bike/Places home. Among the most memorable moments of the closing plenary was when Sue Mobley of Colloqate Design and Paper Monuments spoke with Tom Wooten and Hermione Malone about the need for better listening in urban planning. Mobley urged attendees to; “Listen to people. Hold time to listen to people. It's a slow process, because listening means building trust in the face of long histories of mistrust.” Mobley’s was an important send-off for participants to hold in mind as they start thinking about the next Walk/Bike/Places — now confirmed for Indianapolis! We are enjoying this post from Netherlands based Rinske Brand who was one of the leaders of Mobycon’s Wednesday workshop, Advanced Topics in Shared Street Design. Rinske gives us her account of New Orleans from an international perspective - its history, its recovery, its resilience, and its southern hospitality. Want to hear a bit about how the H*t Chicken S**t dinner with Tunde Wey went? Take a look at this post from the Cities Leadership Institute. Tunde serves up dinners of discomfort on occasion, and we are beyond thankful he agreed to be a part of Walk/Bike/Places 2018 in this format. This post from Sean Co at Strava Metro was meant to prepare you for the conference, but we still think it’s worth a look and you should certainly keep these tips on file for 2020. And finally, as we look towards our next conference in Indianapolis, we thought we’d share this to give you a taste of what the future might hold. Stay tuned for more in-depth coverage and analysis of Walk/Bike/Places themes on the blog!